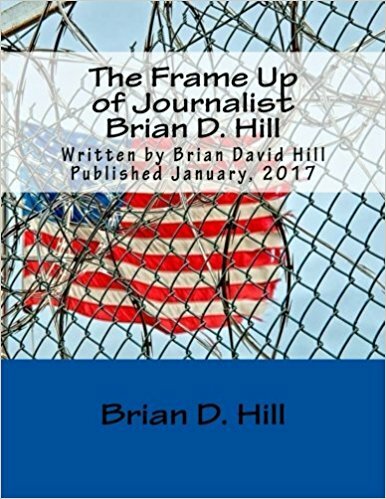 A PDF I received from USWGO Alternative News reporter Brian D. Hill’s mother has shown me that the FBI law enforcement agency is lying about Brian providing absolutely no facts that warrant any investigation. That is a lie when the duty Agent asked Brian to come down to the FBI and give a statement. Why are they lying out of their teeth against Brian? Do they even look at the evidence or just ignore it and stamp “merit-less” on every single bit if it doesn’t meet a certain political narrative or if such criminal investigation can run afoul of any of their protected political criminal operatives or those in politics that they are protecting from a real criminal investigation. The letter from U.S. Senator Tim Kaine was out of the “complaint letter” (link to older article and the joint letter to Congress PDF has the information) directed to U.S. Senator Kaine (D-VA), U.S. Senator Mark Warner (D-VA), U.S. Congress Mark Walker (R-NC), and U.S. Congressman Morgan Griffith (R-VA). Likely Senator Tim Kaine has decided to take charge of his Constituent’s request to hold the FBI accountable for treason as to throwing Brian’s “perjury” complaint under the rug. The question I have is what Brian will respond with if he decides to respond to the lies of the FBI and cover up by the FBI. I have the text words of such letter from the PDF file of the scanned letter from U.S. Senator Tim Kaine’s office, and are posting here for everybody to copy and paste. The PDF file of such letter is uploaded to both this blog, and Archive.org. The text was copied thanks to the PDF file having OCR text recognition capabilities. Once you read the FBI letter, then I will explain to you, the blog reader, how they are lying about Brian to U.S. Senator Tim Kaine’s office. This is in response to your May 25, 2018, inquiry on behalf of your constituent Mr. Brian D. Hill, who makes numerous allegations involving his 2015 criminal court case and requests an investigation. The FBI is familiar with Mr. Hill and has received similar complaints from him. However, in order for the FBI to initiate an investigation of any complaint we receive, specific facts must be present to indicate that a violation of federal law within our investigative jurisdiction has occurred. Based on the information Mr. Hill has provided to your office, as well as that which he previously provided to our Richmond and Charlotte Field Offices, there are insufficient facts to demonstrate a violation of federal law within our investigative jurisdiction or to support the initiation of an FBI investigation. We are, therefore, unable to provide any assistance to him. I hope this information is helpful to you in responding to your constituent. So the FBI has totally lied and here is the proof. Here is the first thing that struck me as odd. “Mr. Brian D. Hill, who makes numerous allegations involving his 2015 criminal court case and requests an investigation“. They also mentioned about it being “Based on the information Mr. Hill has provided to your office, as well as that which he previously provided to our Richmond and Charlotte Field Offices…”. Wait a minute. His criminal court case was started in 2015?????? According to the facts I have from federal court records that came from PACER.GOV which was mirrored onto CourtListener, Brian had written the FBI in 2014 while he was incarcerated trying to get them to listen to him about any information he was able to provide in regards to his actual innocence. Not only that but the criminal case Docket sheet that is in the permanent court filings of his case prove that his criminal case including the indictment had begun in November, 2013. So the FBI is completely wrong about the year of his criminal court case. So they don’t even have the year correct and they had decided that Brian presented no facts or evidence the entire time????? The contradictions and Bull-crap of the Government just keep building and mounting on top of each other. Why is the FBI lying about Brian providing no evidence? Now what proof do I have that Brtian has written the FBI back in 2014? Where here they are from the Federal Court records. Document #48 (CourtListener, Archive.org) from his federal case dated October 6, 2014, show a hand written copy of what he said was mailed to the Federal Bureau of Investigation in 2014. Docket Sheet proves that the criminal case against him was started in November, 2013. CourtListener shows the date of when the case was filed and the printed Docket sheet from PACER.gov also shows the original date of such federal criminal case. Document #49 (CourtListener, Archive.org) from his federal case dated October 6, 2014, show a hand written copy of what was mailed to the FBI and a written Declaration under penalty of perjury. Not only that but the Transcript (CourtListener, Archive.org)(Document #131, Exhibit 5, Pages are between no. 55 to no. 68 of the 101 pages total) of the June 4, 2014, Status Conference hearing in front of the Hon. U.S. District Court Judge N. C. Tilley Junior, also had words of Brian telling the Judge that he had written the FBI and was frustrated that they didn’t do anything. The Judge comments by saying “I can’t make them investigate, you can’t make them investigate…” and Brian responds soon after with remarks such as “This is a kangaroo Court, your honor.” The transcript was never added to the docket sheet so it was filed by Brian D. Hill as one of his Habeas Corpus 2255 documented Exhibits. That is one of the exhibits that would be censored if Anand Prakash Ramaswamy of the United States Attorney office has his way with the request for pre-filing injunction. There is your proof that the FBI gave the wrong year of his federal criminal court case that they said was in 2015. What a bunch of liars and deceivers that they are? I wish all of this wasn’t true. I wish it was all a lie and that the FBI really did try their best to at least investigate all of Brian’s claims but they are a bunch of liars. So the FBI has ignored Brian since 2014, despite the fact that his confession doesn’t match the forensic report. That is clear and convincing proof of a false confession. Despite the fact that United States Probation Officer Kristy L. Burton (Danville, Virginia) did give multiple false statements (additional evidence) on the stand in federal court on June 30, 2015, in front of the Hon. U.S. District Court Judge Thomas D. Schroeder. That is proven slam-dunk case of technical perjury, a technical violation of United States code. The FBI has lied when they said that Brian had not submitted any facts of the allegations he has made to them. Brian mailed a condensed version of evidence (certified mail ticket, Kristy Burton false statement #1, Kristy Burton false statement #2, Kristy Burton false statement #3) proving the perjury of U.S. Probation Officer Burton to the duty agent Jerry Pickford at the Greensboro, North Carolina FBI office and he was ready to have Brian to come down a give a statement. Then it was later reported from Brian that his complaint was shut down due to his boss or whatever boss that was at the FBI office in Greensboro telling him that it was “merit-less” without really explaining how and why it was merit-less when technical perjury is a federal crime. Brian may be charged with perjury for undoing his false guilty plea agreement since all innocent people who are forced to plead guilty falsely to crimes they did not do are forced to do so under Oath (penalty of perjury) when the facts show innocence. So Brian may be charged for perjury for falsely pleading guilty by force due to ineffective counsel, but Kristy Burton of Danville can make multiple false statements under Oath, on the stand, in open federal court and the FBI considers that merit-less. Time to Drain the Swamp of the FBI office in Greensboro. If anybody works for the Office of the President inside of the White House, please review this article and all other evidence and maybe U.S. President Trump can drain the swamp of the Greensboro FBI office. The U.S Government and all its branches and agencies are a “FRAUD” on the people. 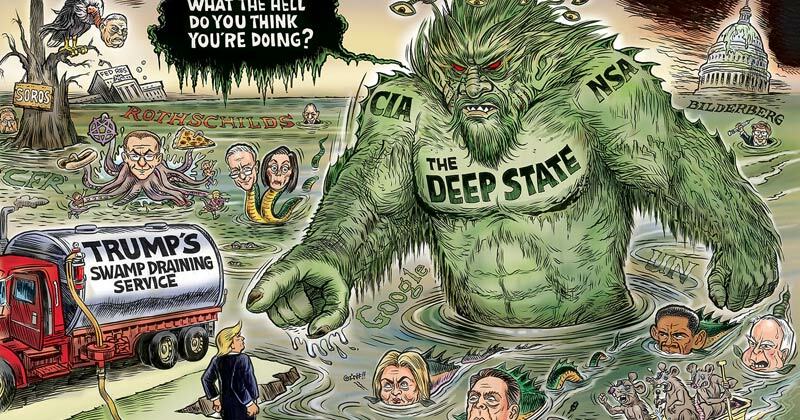 Government was consumed by organized crime decades ago.Every citizen is a slave with no rights.They’ve control and the only way it will be relinquished is if you can get all citizens up in arms to take it back. The legislators are mere puppets, as are the judges, etc. Even mainstream media is part of the scam. Its all under the control of oligarchs running the world for the future they envision. You’re much better off trying to convince the Koch brothers than anyone in Government.